The preparations are in full swing to make the concluding ceremony grand. 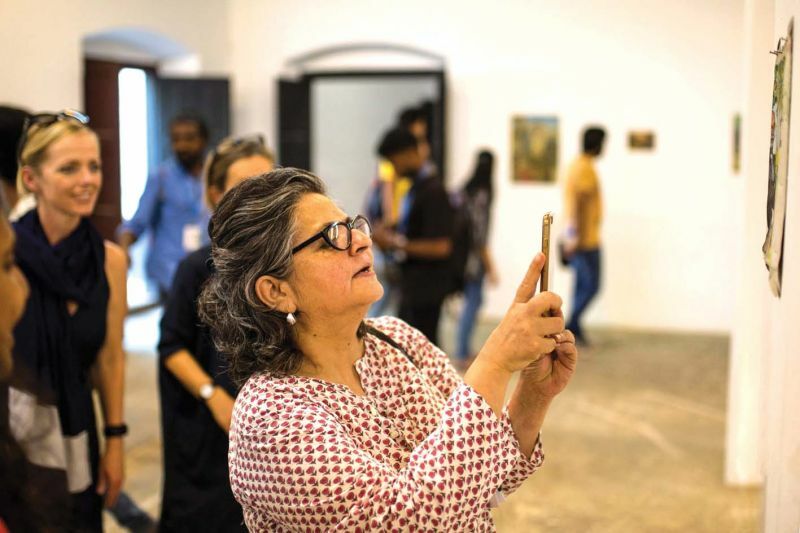 Three months ago, when the third edition of Kochi Muziris Biennale began, everyone, especially art aficionados, was curious. The biennale was different in many ways — naturally curiosity was sky high. Then, it began in December with artworks of 95 artists, making Kochi an art hub. For the past three months, biennale has been in the forefront of our cultural consciousness. Now, as it is about to conclude on Wednesday, the organisers are happy about the response they have received for their effort. The preparations are in full swing to make the concluding ceremony grand and art lovers are busy walking around the venues to get final glimpses of the installations. Bose Krishnamachari, co-founder of Kochi Muziris Biennale, says giant strides have been made in the Biennale movement, which made waves within India and abroad.. “Curator Sudarshan Shetty has expanded his vision for the Biennale by looking at diversity, not only in countries, but also forms and practices,” he says. I met a lot of teachers, students, architecture students and had conversations with a noticeably younger crowd — also a good sign,” he adds. Not just international audience, but the local audience too have played a crucial role in making the event a success. The art event even served as a platform for the regional talents to showcase their mettle through various programmes. Kochi wore the garb of a cultural centre for a few months. “From the first edition itself, the local crowd has been consistently bigger than any other group of visitors. 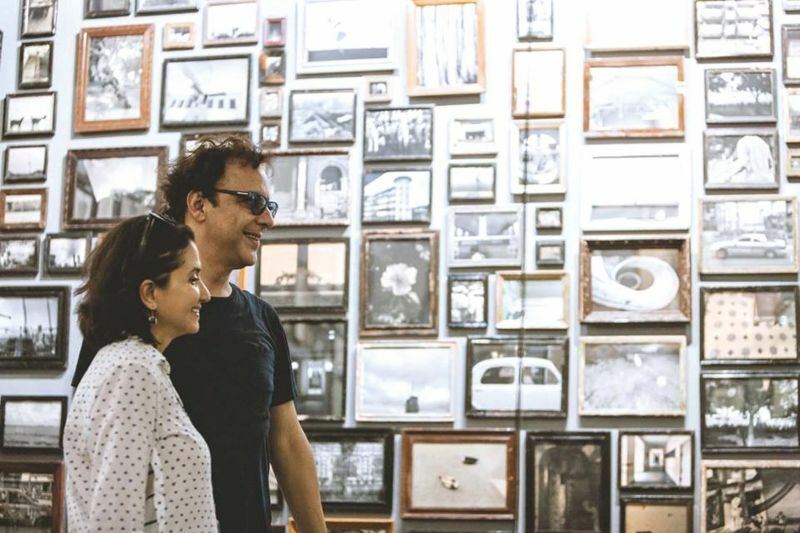 It is nice to see all kinds of communities coming together and being part of the Biennale experience,” says Bose about the response from the local crowd and adds that the biennale was the effort of many people including the mediators. “Our young mediators were brilliant. They have been working with us two months before the Biennale and have been providing guided tours to both the public and notable visitors daily. They have been integral to the successful reception the Biennale has received,” he adds. What enriched the biennale was the presence of celebrities. Popular figures from different walks of life walked into the venue to experience the diversity in art. 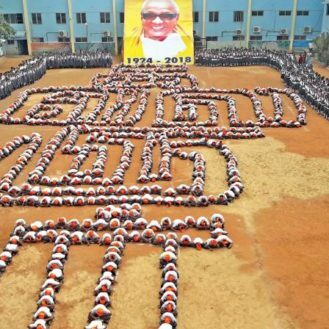 They made it a point to visit Kochi just to watch this. Director Vidhu Vinod Chopra, supermodel Lakshmi Menon, artist Atul Dodiya, photographer Dayanita Singh and artist Jyothi Basu are a few among them. Dayanita Singh has been staying back in Kochi to get a good experience of the biennale. “Some of my favourite works in the Biennale are from the poets who have all found very unique forms for themselves, especially Sharmistha Mohanty’s work. It is deeply moving and profound, which is what a lot of this Biennale has been,” she says. In her opinion, one needs to visit the biennale many times to get its true spirit. “It’s a very inward Biennale; very poetic and demanding. The more time you give it the more it reveals to you,” says the artist, who was a participant at the Kochi Muziris Biennale 2014. According to her, the concept has grown over the years. “It has expanded the discourse on what we think of as art and will have an immense trickledown effect,” she says and adds, “The current edition shows us what can happen when an artist curates. This is like a massive art work Sudarshan has created.” For the average art lover too, the third edition is different from the previous ones. Lekha, an art lover says, “I found a lot of variety in this year’s biennale. Certain installations like that of Dia Mehta were truly stunning. This time, most of the installations were comprehensible.” The concluding ceremony will see the performance by Thaikkudam Bridge. “The curator for the next edition will be declared at the closing ceremony. 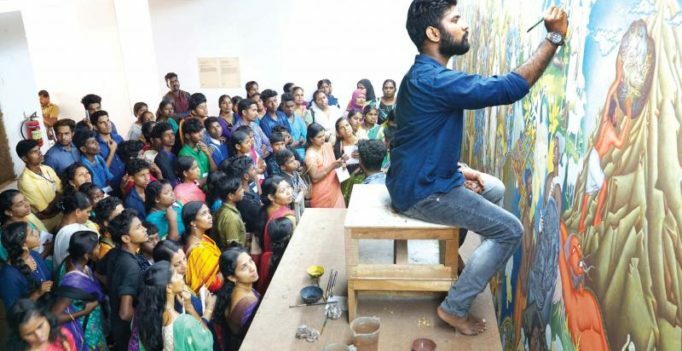 Also, Tata Trusts — the supporters and sponsors of the Kochi Biennale Foundation’s primary art education programme, the Students’ Biennale — have declared five awards for the second edition: one for a curator, two for individual artists and two for group residency artists. The selected curator will have the opportunity to travel around the world to get a better feel for contemporary art practices and build on the exhibition-making skills he or she would have learned over the run of Students’ Biennale 2016,” says Bose.